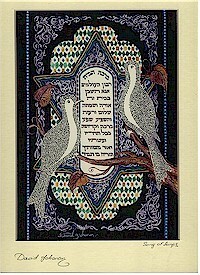 A gorgeous micrography lithograph by David Yohanan, signed by the artist, created and printed in Jerusalem. 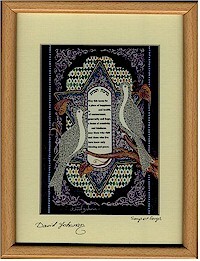 This is the traditional Jewish blessing over the home. 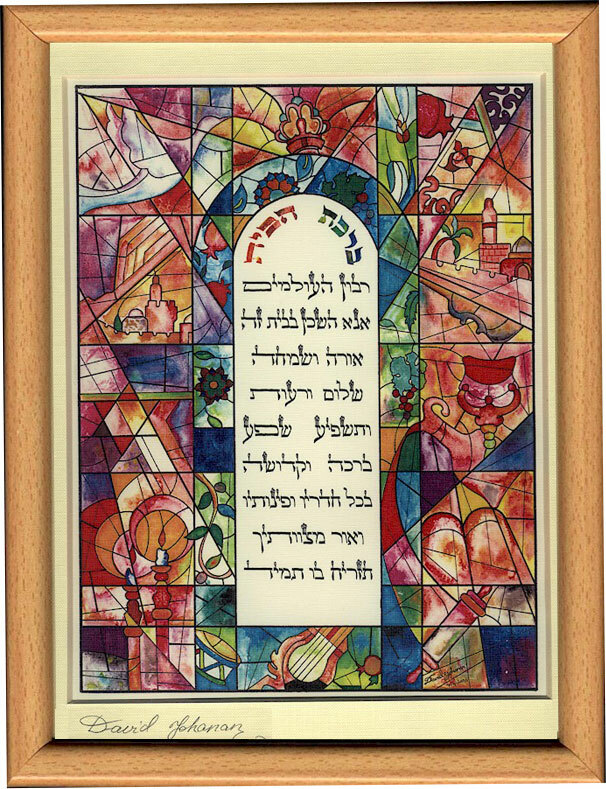 The "stained glass windows" have many symbols of Judaism and Jeruaslem in them: Old City Jerusalem landscapes, the Seven Species, Shabbat candles, Torah scrolls, dove of peace, harp, drum, Jewish star, grapes, figs and pomegranates, and many more. 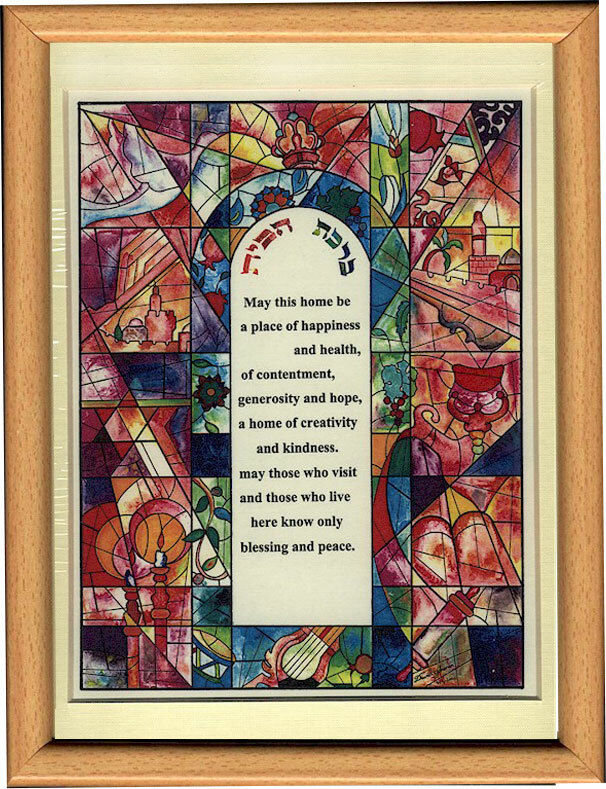 It reads: "May this home be a place of happiness and health, of contentment, generosity and hope, a home of creativity and kindness. May those who visit and those who live here know only blessing and peace." This is a wonderful addition to any home. 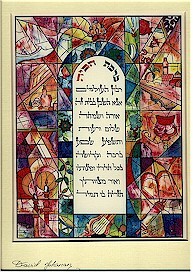 The blessing is available either in Hebrew or in English. This is the framed version of the piece.